JSW Ventures, the venture capital arm of the JSW Group, today said it has received clearance from markets regulator Sebi to begin investing in the country. 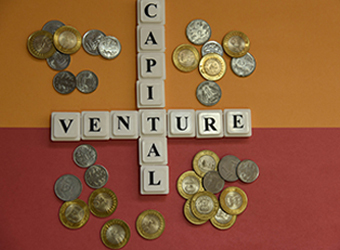 JSW Ventures would focus on providing early-stage funding to technology-enabled startups operating in the education, healthcare, financial services, SaaS (software as a service) and enterprise software space. The fund will have an initial corpus of Rs 100 crore which it will invest over a three-year period. "JSW Ventures, the venture capital arm of the JSW Group, has received the mandatory clearances from Securities and Exchange Board of India (Sebi), paving the way for it to begin investing," a statement by JSW said. "Technology innovation is happening across sectors, from old-fashioned verticals like real estate to research-driven work being done in machine learning and artificial intelligence," said Parth Jindal, JSW Cement managing director, who would be overseeing venture capital fund. According to JSW Ventures Managing Partner Gaurav Sachdeva, over the last one year, the fund has been actively working in the startup ecosystem, evaluating companies building innovative products, services or technology. "We will partner with passionate entrepreneurs driven by innovation and the need to build capital-efficient businesses looking at the team, product-market fit, scalability and technology innovation while assessing companies," Sachdeva added. The multi-billion dollar JSW Group is into steel, energy, infrastructure and cement.